The Internet Assigned Name Authority IANA) handed out the LAST IPv4 address space in Feb of 2011. 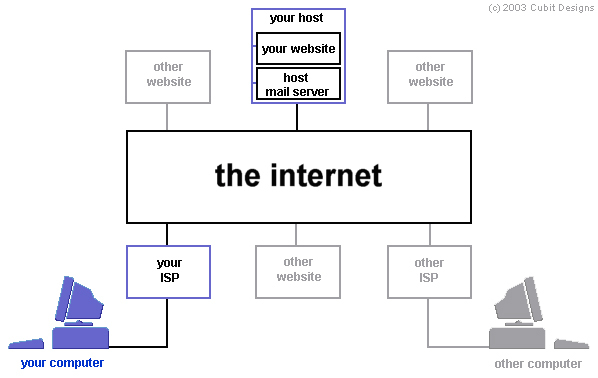 The Internet’s ability to function is predicated upon each device having a unique Internet Protocol (IP) address and thus, a new address schema called IP version 6, or IPv6, was implemented so that the ever-growing number of “things” on the Internet can function properly. Background: IPv4 – IPv6, What does this mean? TCP/IP is the technology that devices use to interact online. What allows each device to get online and communicate is that each one has an unique IP address. IP addresses enable each device to interact with each other over the Global Internet. From desktops to laptops, to PS3s, to cell phones, to airplanes, to IP enabled washers and dryers, most things will be connected online – this means we need a lot more addresses than are available today. At the inception of the Internet, IP version 4 (IPv4) was and is currently the most widespread protocol used to communicate. By their binary nature, IP addresses are a finite resource and Vint & Bob established, at the time, 2^32 unique IP Addresses or ~ 4.3 Billion addresses. While 4.3 Billion might seem like a vast number, the growing amount of Internet participation has exhausted this supply – in fact, it has been predicted that by 2020, there will be more than 7 Internet-enabled devices for every man, woman, and child on planet earth. In February 2011, the keeper of the free address pool, the Internet Assigned Numbers Authority, (IANA), fully exhausted and allocated all of the IPv4 Addresses. IPv6 was created in the mid ’90s as a result of engineering efforts to keep the Internet growing. It is an entirely new protocol that is not “backward compatible” with IPv4. However, both protocols can run simultaneously over the same “wires”. This means that there will be a progressive transition (picking up pace from this point forward) from IPv4 to IPv6 commencing with devices that support both protocols (also known as dual stacking). Eventually, IPv4 will cease to be supported and in the end, all IPv4 only devices will no longer be able to communicate with the IPv6 enabled Internet. 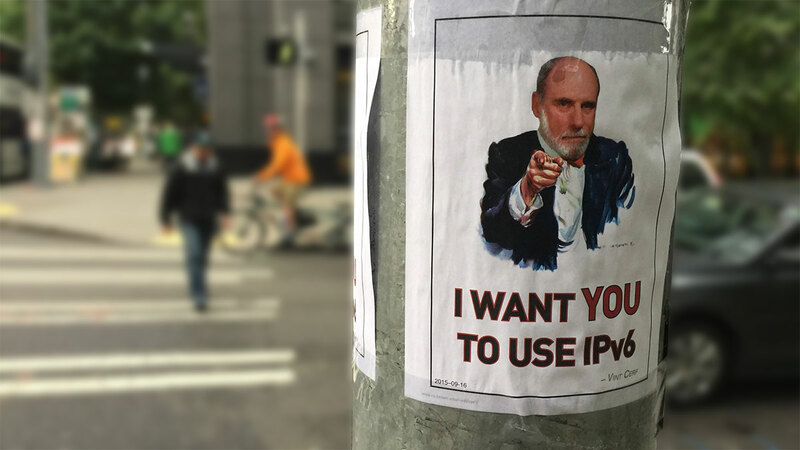 Thankfully, the transition to IPv6 has been underway for a while now. As of April of 2019, the overall adoption of IPv6 worldwide was 27%, while IPv6 adoption in the US was at 34%. Germany was ahead of the pack with 41%. This page has up-to-date statistics for IPv6 adoption. How the Internet is “Inter” connected. To understand how we will be affected, it is helpful to understand how the Internet is actually “inter-connected”. The Internet is literally a “web” of networks all connected to each other. From our home network that has 2 or 3 computers to Internet Service Providers to online companies like Amazon & eBay. In the middle of this diagram, the “Internet” is a collection of all the world’s networks interconnected together so that we, an end-user, can get from point A to point B across (or “routed” across) all of these networks. In the end, this means that everyone online and everyone who wants to be online will be undergoing the upgrade to IPv6 starting with getting a new IPv6 address. There are many advantages to this more complex address schema in addition to the fact that now every device will have its own unique identifier. Ironically, the longer address will actually help to improve end-user experience online as the Internet architecture will see improvements with respect to traffic congestion, application specificity, security and much more. We have established that every Internet-enabled device must have a unique IP address. Now, what does this mean for the various constituencies accessing the Internet? For most end-users at home, this transition will happen automatically and will be mostly unnoticeable. They will get their current and updated addresses from their ISP; businesses will have their IT departments configure their own networks so that their customers (the business) will automatically get their addresses, etc. Therefore, those most concerned about this transformation are those that actually manage portions of the Internet: Internet Service Providers, I/PaaS providers, online Content & Application Service providers, and small to Enterprise businesses that run their own networks. As we see from the above chart, most end-users and small businesses will really only be responsible for ensuring that they have purchased IPv6 enabled devices, including computers, wireless access points, smartphones, printers, and game consoles. Most devices purchased after 2007 are in fact IPv6 enabled. For example, Microsoft has been IPv6 enabled since version Windows XP-SP1 as well as commensurate Apple OSs. The heavy lifting will be shouldered by the ISPs, I/PaaS, Content/ASPs and businesses that manage their own networks. These are certainly not trivial steps in transitioning to v6, however again, these are exclusive to service providers, those directly involved in managing networks. It does not preclude end users or SMB however, from being aware of this change and ensuring their own devices are compatible. So hopefully this section has given a snap-shot of the “Internet Infrastructure Ecosystem” and how each “vertical” will be affected by this transition. Furthermore, while not intended to cry wolf nor claim the Internet will die, for those who are involved in the upgrade of your own Network this has catalyzed you to commence the transition. Now the next logical question – when do you really need to do this? IPv6 Transition: When do we really need to start? The transition to IPv6 is well underway and has been fueled by the announcements from the Regional Internet Registries (RIRs) around the world that they ran out of IPv4 addresses reaching total exhaustion. So how does this translate into when you have to get yourself, your business or your organization ready? While everyone should be AWARE that this transition is underway, the “services providers” are really the ones behind the 8ball right now as it is their jobs to provide Internet access or access to Internet infrastructure, which has to be IPv6 moving forward. Given the lack of backward compatibility, this will require some education, hardware and software upgrades and re-thinking about how to layout a network. This is due to the fact that the IPv4 mindset was one of “scarce resources” (we will run out of addresses). In an IPv6 world, you have nearly unlimited resources and can plan your network IP Address plan very differently. ISPs, I/PaaS, ASP/Content services providers should be in the midst of transition and if they are not, now is the time. Enterprises will have to assess their own network needs but is not of immediate urgency. And, finally, SMBs and End-Users will really only have to track their own ISPs steps to upgrade to IPv6 as well as be aware of existing and future tech purchases being IPv6 ready. In subsequent articles we will be diving into Software Tools to help Service providers in this transition, what some of the emerging best practices will be in the areas of IPv6 Automation, IPv6 Security, and IPv6 as it relates to Asset Tracking. For more information please read our IPv6 FAQ. The Asia Pacific Regional Internet Registry, 1 of the 5 regional registries that report to IANA, is also fully depleted of IPv4 resources as of April 2011. A reference to geo-location as a part of many end-users’ application experience. End-users who have home networks that connect more than one machine will still need to ensure that all their devices can support both IPv4 & IPv6. For example, ensure your Linksys Wireless router can support both protocols.